My friend Jeff Carver has a nice post up about writing as an act of faith, and how that faith was unexpectedly rewarded for him the other night. As he says, writing is an act of faith almost by definition. Maybe hubris is a better word — you have to think: I have the talent and the resolve to bleed out 70,00 words that will entertain and maybe also uplift and inspire a host of unknown readers. (Actually, for Jeff it’s more like 200,000 words.) And, of course, you have to be prepared for your faith to be shaken when you read your first draft. I have one quibble with his post. He is working on his second draft in front of a roaring fire at a secluded B&B on Cape Cod. Frankly, anyone can write a frickin’ novel sitting in front of a roaring fire at a secluded B&B on Cape Cod. Real authors write their novels while police are shooting at bank robbers outside their windows. Let’s see him try that! 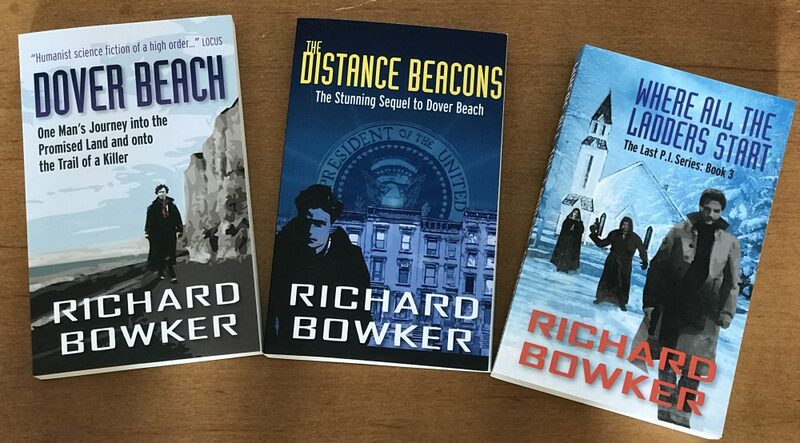 This entry was posted in Writing and tagged authors, fiction, novels, writers, writing by Richard Bowker. Bookmark the permalink. I get it. We’re supposed to admire you for persevering with your art in the face of roaring fires and all the other distractions at your secluded B&B on Cape Cod. I for one am deeply impressed!